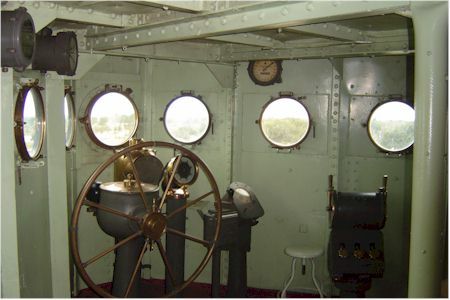 The Battleship Texas is one of the most important historical artifacts in Texas. 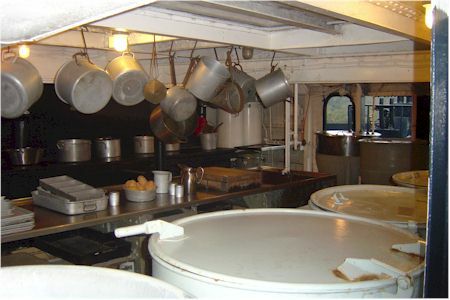 The ship, a veteran of two world wars and in many theaters of battle, is owned by the people of Texas and is administered by the Texas Parks and Wildlife Department. It's takes a "Yeoman" effort just to keep it from becoming a pile of rust. 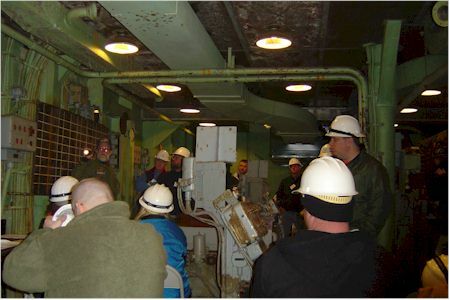 One of the many ways that you can support the upkeep of this valuable resource is by signing up for a "Hard Hat Tour"
Docent explains the breach loading of the 14" guns in No. 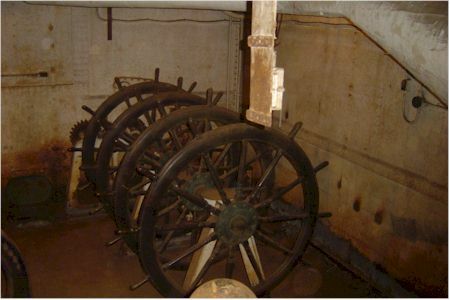 2 Gun Turret. 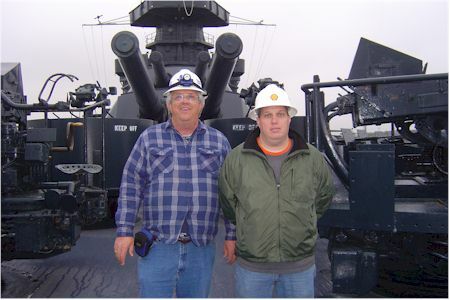 It took 70 men to operate one Gun turret, The Battleship Texas had four. If you have ever been to the Battleship Texas you know that for safety reasons many of the ships areas are off limits to the general public. Now with a little planning and for a small fee you can go on a guided “Hard Hat tour” that includes many of these areas. The size and number of tours are limited so sign up early. 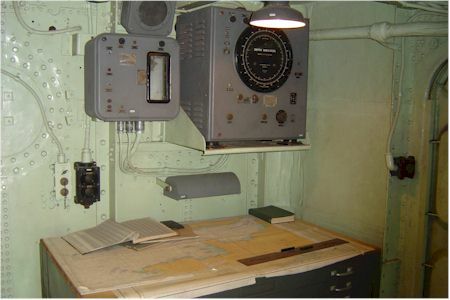 The first time I visited the battleship I was about 11. 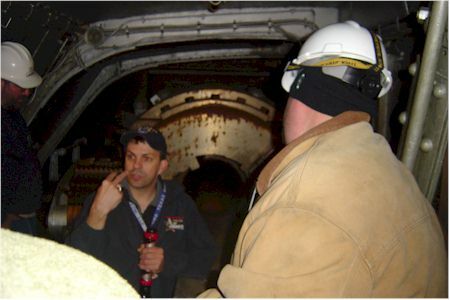 I wanted to go into the 14” gun turret, but I couldn’t, I wanted to get a good look at the boilers and engine rooms, but I couldn’t. Although there were a lot of things to see a lot were off limits. Now 45+ years later on the Hard Hat tour I got to see all these things and more.